When honeybees want to communicate—to show the location of food, say, or a great new place to live—they perform a waggle dance. At Burt’s Bees, we have a waggle dance of our own—it just takes a slightly different form. In our case, we release bi-annual reports detailing our commitments and goals, and how we’re progressing towards them. 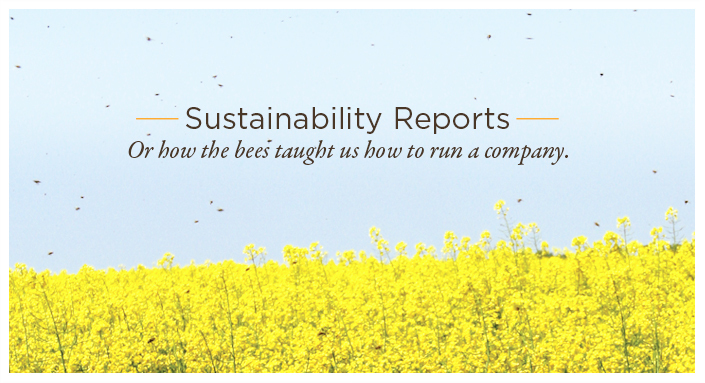 Our latest of these is the 2012 Sustainability Report; we encourage you to read it and send us your feedback at CSR@burtsbees.com. You may also browse past reports, released since 2008, to see just how far we’ve come.